By Maulvi Abdul Aziz. 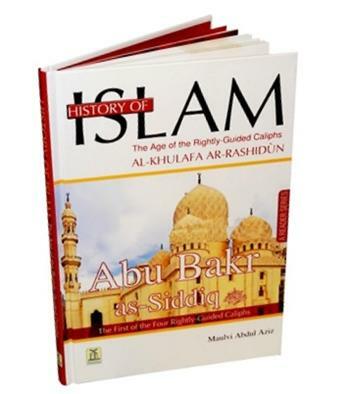 Immerse your child or student in the character-building life history of Abu Bakr as-Siddiq (RAA), the first of the Four Rightly-Guided Caliphs. No other person in the History of Islam can be compared to him when it comes to truthfulness, insight into Islamic teachings and devotion to Allah and His Messenger (S). He was outstanding and unique in his commitment, sincerity, and whole-hearted support and assistance to the Prophet (S). Excellent for grade 6 and up. DUS, Hardcover: 119 pages.